Enticing Products at Flo Bazaar! 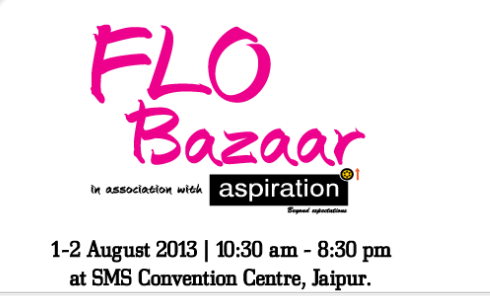 The two-day ‘FLO Bazaar’ began today at the SMS convention center in Jaipur. On its first day huge crowd flocks in for the mega shopping festival. Even the heavy downpour does not deter the visitors to shop. The event started at 10.30 am and will end at 8.30 pm on 1st & 2nd of August, 2013. 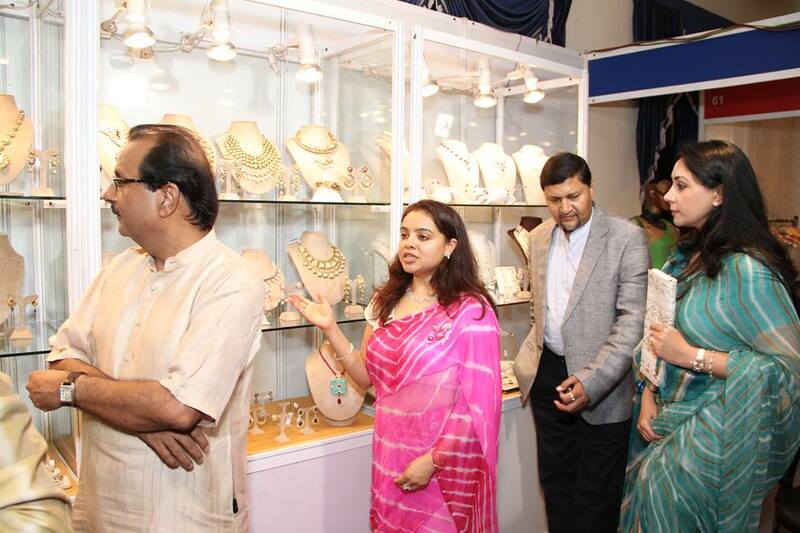 The event was inaugurated by Princess Diya Kumari and Vice Chairman of Rajasthan Foundation, Mr. Rajiv Arora. One can found an exciting range of apparel, Jewelry, home decor, craft products, rakhis on display by the crafts person from across the India. Other then this few workshops for kids by Kalaneri and Hobby Ideas and Tarot and Angel reading sessions are also conducted. Lip smacking snacks from Bake Hut and Amita’s Rasoi can not be missed at all. So Jaipurites, get drenched in the Monsoon festivity at Flo Bazaar! Previous Post Where to Flock on for Nightlife in Jaipur ?